We all know what to leave out for Father Christmas – a nice mince pie and a glass of sherry. Or maybe milk, if you don’t want Santa sozzled on his sleigh. But what about Rudolph and the rest of the reindeer? 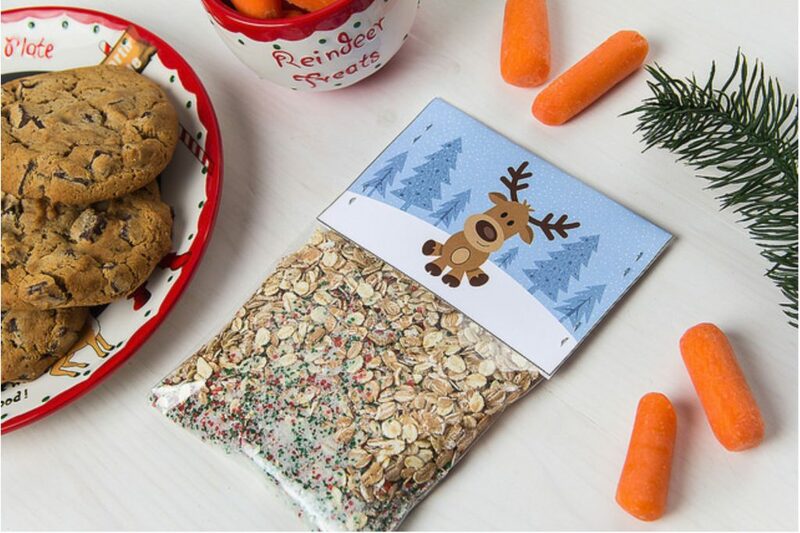 In recent years there’s been a trend in crafty circles for making “magic reindeer food” designed to be sprinkled outdoors, most often made from a combination of oats and glitter. The idea is that the glitter will sparkle in the dark and lead the reindeer to your house, and the oats will give them something to eat when they arrive. And while reindeer can eat oats, as can hedgehogs and some garden birds, plastic based glitter can cause real harm to wildlife. According to the RSPB, even edible glitter isn’t ideal. So if “magical reindeer food” isn’t a good idea… what do reindeer actually eat? Well, they do enjoy carrots and apples as a special treat, but that’s still pretty far removed from the diet they’d be enjoying in the wild. As we know, they do eat Cladonia rangiferina and Cladonia portentosa – both known as reindeer moss or reindeer lichens, and these are a staple of their diet during the Arctic winter. Throughout the year, when the tundra isn’t covered with snow, reindeer eat sedges and grasses. Forest-dwelling reindeer (such as those in Finland, pictured below) also eat the leaves of willow and birch trees. This hasn’t yet been studied over a long timescale, but it appears as though when reindeer return over time to historic milking grounds, various factors contribute to effect a shift in the environment away from shrubs, mosses and heathland, with grasslands taking over. 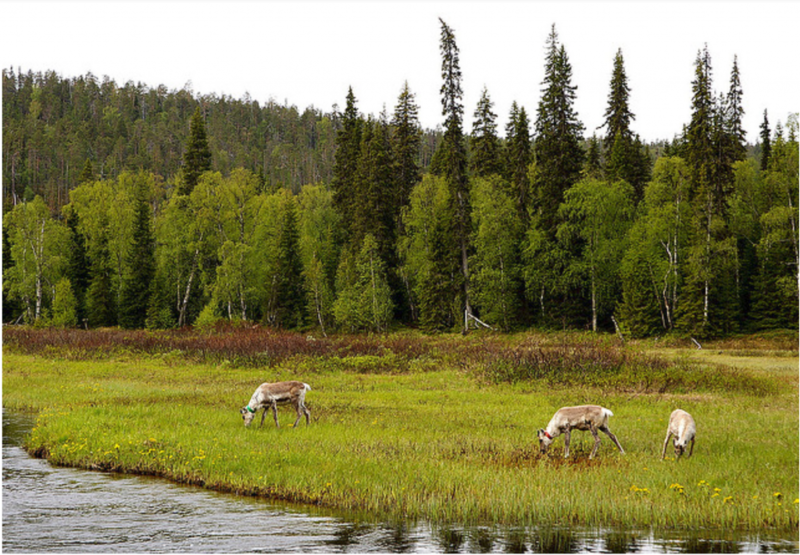 Researchers at Umeå University also discovered that reindeer grazing protects tundra plant diversity in a warming climate. As the reindeer graze away the larger plants they increase light availability at ground level, which allows smaller and slower-growing species to flourish. So not only are reindeer experts at navigating Santa’s sleigh around the world, they can also teach us important lessons about the functioning of ecosystems thanks to the careful study of their impact on the environment. A major part of reindeer diet is reported to be two tundra plants: Luzula confusa and Salix polaris, both plants that grow fast after snow melt in spring (Van der Wal et al. 2000). Summer grazing included a much wider variety of species including Oxyria digyna and Pedicularis spp. based on pollen analysis of reindeer faeces (Bjune, 2000). You are not likely to find these plants in your back garden but you might find some relatives. In Britain you might easily find Luzula campestris (Field woodrush), Salix caprea (Goat willow), Pedicularis sylvatica (Lousewort) and Rumex acetosa (Common sorrel). 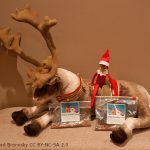 Rather than buy oats with glitter to seed your visitng reindeer, how about taking a walk in the countryside or a park and see if you can find something a bit more authentic for your reindeer? Don’t worry you CAN pick leaves and flowers without breaking the law (see the excellent web page from Plantlife. This entry was posted in Advent, Herbarium RNG, Public Engagement with Science and tagged #Advent Botany, #AdventBotany2018. Bookmark the permalink.